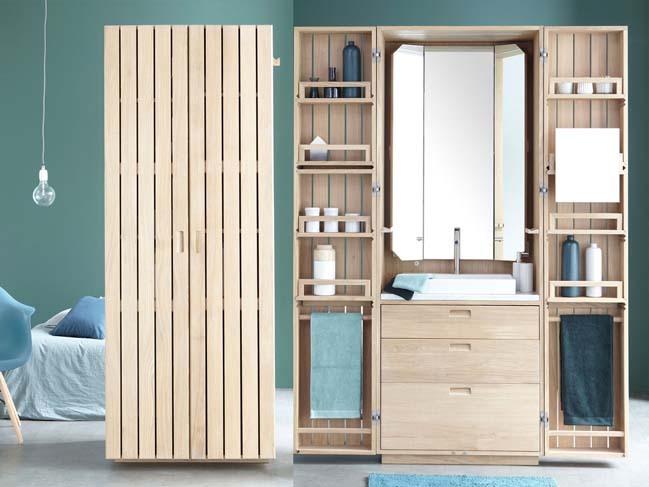 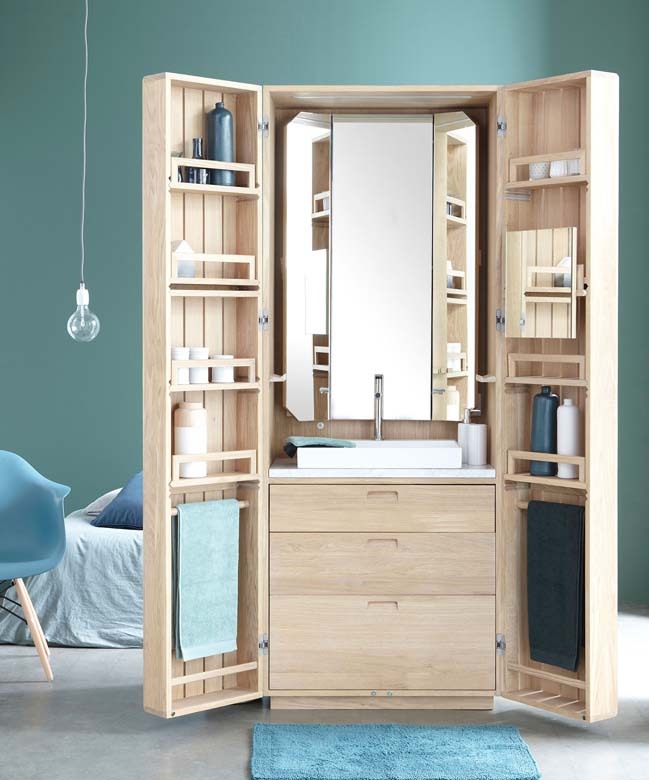 La Cabine is a perfect solution for a compact bathroom hidden within an oak wardrobe that was designed by Line Art - specialist in solid wood bathrooms in France for the La Fonction. 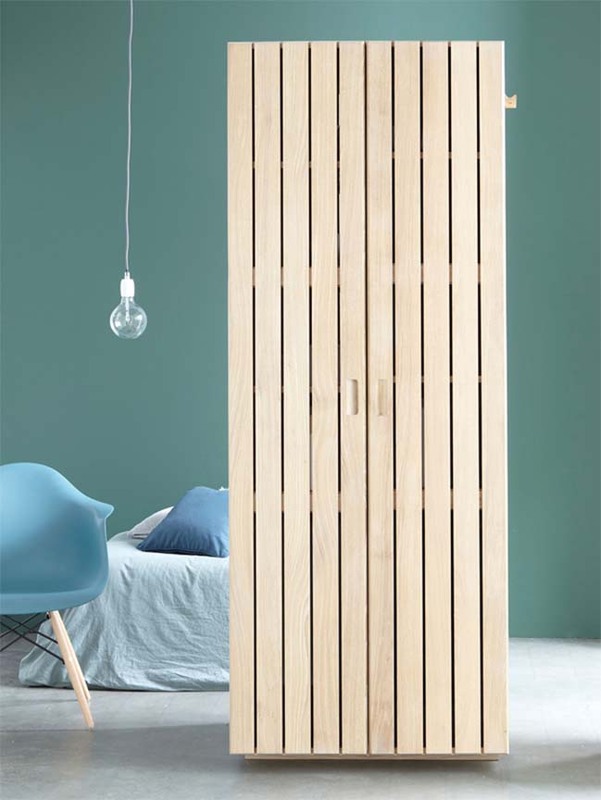 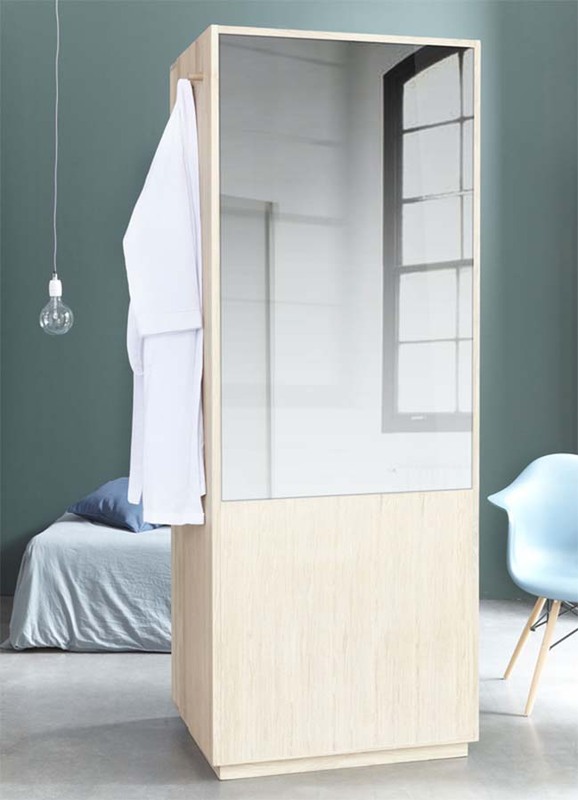 Description: When closed, it resembles a wardrobe with all of the serenity of solid wood. 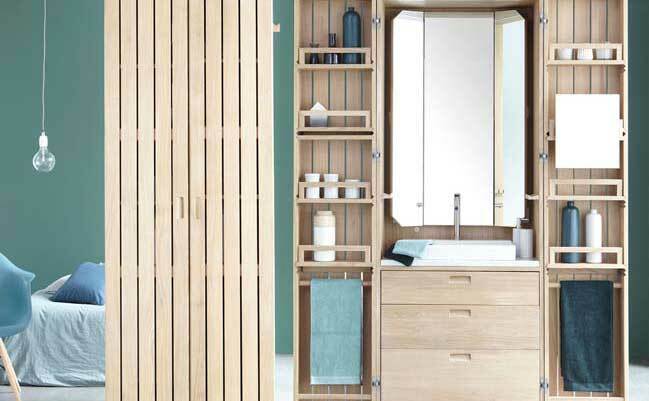 When open, it presents a bathroom that is reminiscent of a boat’s cabin, so much does the precision of the woodwork echo that of a boat maker. 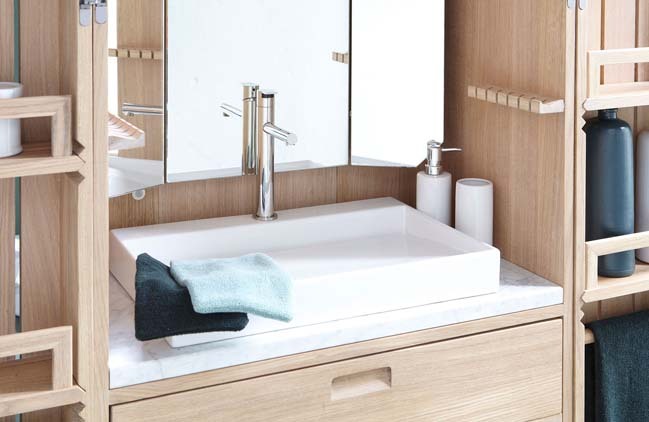 As a synopsis of the finest European expertise, La Cabine blends luxury craftmanship with the audacity to overturn convention. 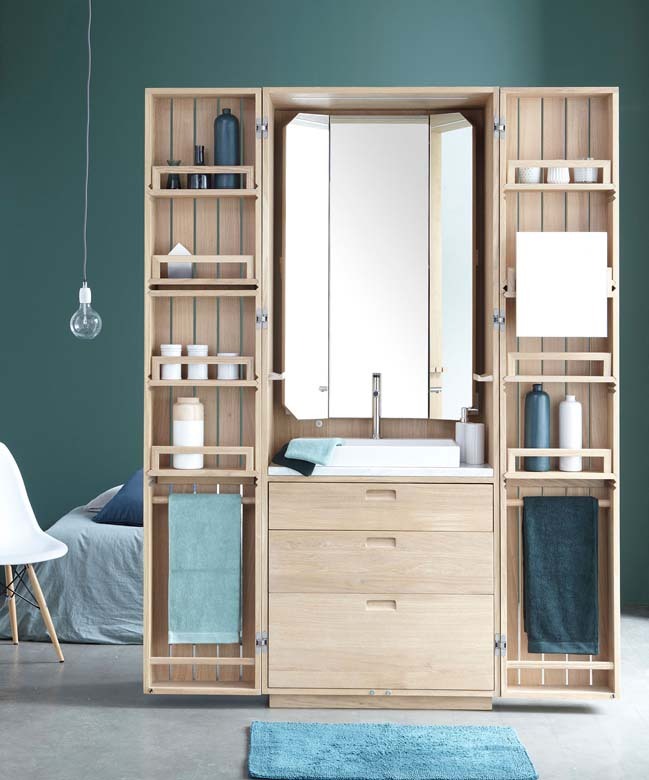 The fluid wooden lines, the choice of hinges, the marble surfaces, a particular switch... Everything has been carefully selected to provide a setting for the sink and mirror that form part of a storage facility that optimizes full use of the space.